What is a Wari tie dye textile? Thread seems like a really simple thing because we are so divorced from what it was actually like when humans had to make it. Spinning thread is the most time consuming of the entire process and is one of the reasons handspun textiles are expensive. As you can see on the “textiles for beginners” page the most basic method is using a drop spindle. These produce thread much slower than a spinning wheel so it takes even more time. I taught myself to spin when I was about 14 from a spinning kit at bought at the Fiber Barn in the Big Eastern States Exposition (if you are from New England you know what I’m talking about, for everyone else it is a big agricultural fair for Maine, New Hampshire, Vermont, Rhode Island, Massachusetts, and Connecticut). I used merino sheep wool which is a very high grade fiber, soft and easy to spin. I was lucky the kit came with merino because the type of fiber you use determines how easy it will be. The mechanical process of spinning with a drop spindle is that the when you spin the spindle its weight pulls down on the fibers. This causes the fibers to bind together (remember sticky proteins!). The finer and softer the fiber the easier this is. Since this fragment was part of a high prestige garment it was made out of the best stuff they had. The fact that I get to work with such good fiber is making the project much easier. There were no sheep in the Andes until the Spanish came, so they used fiber from camelids: llamas, alpacas and two wild species called vicuñas and guanacos. Anyone who has petted llamas and alpacas probably knows that alpacas tend to have softer fur so although we can’t be sure which animal was used through tests it is usually safe to assume that the fiber in this cloth was alpaca. Even among the best type of fiber there are still levels. I used a system called a micron count to try and get the very finest and softest alpaca I could. This system is very simple, the lower the count the better the fiber. 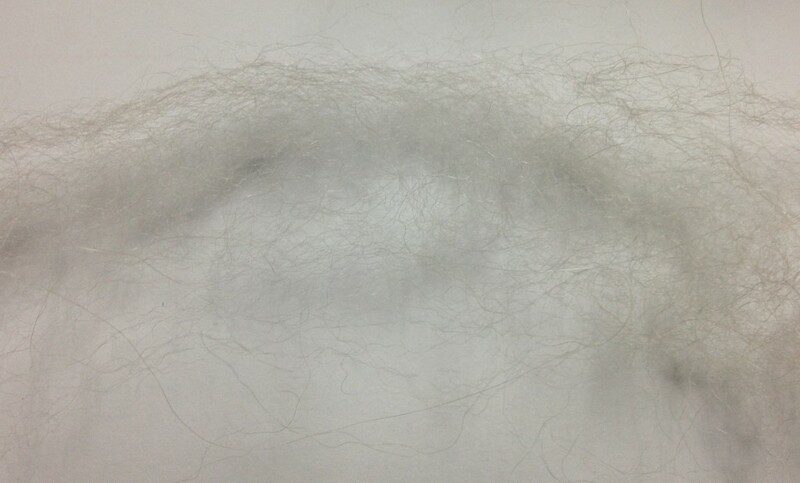 I was able to get a 15 micron count vanilla alpaca for the project. You use your left hand (or right) to hold the clump of fiber you are trying to turn into neat thread and ideally the fingers of that hand to thin out a nice stream for the spindle to pull down. I discovered very quickly that spinning involves the ability to do different things with each hand at once. It also means that you have to develop the muscles and coordination of you non-dominant hand which takes time. When I began spinning, I was unable to use the fingers of my left hand to separate the fibers out of the clump, a process called drafting. I would have to “park” the spindle between my legs and use both hands to thin out a length of fiber and then held that with my left while I turned the spindle with my right. The length of the fiber, sometimes called a staple (I have no idea why) also makes a difference in how easy something is to spin. This is more of a personal preference because some people like fibers that are really long because you can spin slower but they are harder to separate. Short fibers slip through you hands faster so you have to spin quickly but they are easier to separate, at least I think so. Alpaca is a medium length so I can just manage it in one hand and it slips through my fingers pretty easily. If you acquire the coordination required, the act of spinning is not really that difficult. I find it incredibly meditative and soothing and have loved trying different fibers. My favorite thing to spin is actually silk which some people find difficult but I love the feel and the shine. What is VERY difficult is actually making thread, not yarn for knitting or crocheting. Yarn is thicker and does not have to be spin as tightly. Andean people in the Pre-Hispanic period were champion spinners and were able to spin thread finer than our machine produced thread. In the Inka Empire members of a family had to spin to produce enough thread to pay their taxes. This Wari textile does not require the number of threads Inka textiles did (sometimes 6 miles of thread) and we do not know precisely how the work to produce it was divided, but the thread is still very thin. I actually didn’t believe it was plyed until I examined it under the microscope. Test your knowledge on the next page! This entry was posted in Uncategorized and tagged Spinning, Textile basics. Bookmark the permalink. It’s been great reading through your previous posts on spinning! The links look really helpful, too. I just stumbled upon your post in my quest to find information on the production of Vicuna wool. I’m working on an assignment for a fashion design course and am having trouble coming up with pictures and info on the more intricate sciences of this particular fiber. Do you know if the basic structure of of all wool fibers is the same (besides microns and length) ? For some reason I can’t seem to find anything out about the diameter of a Vicuna fiber (what shape it is, etc). Thanks for your interest in my site! 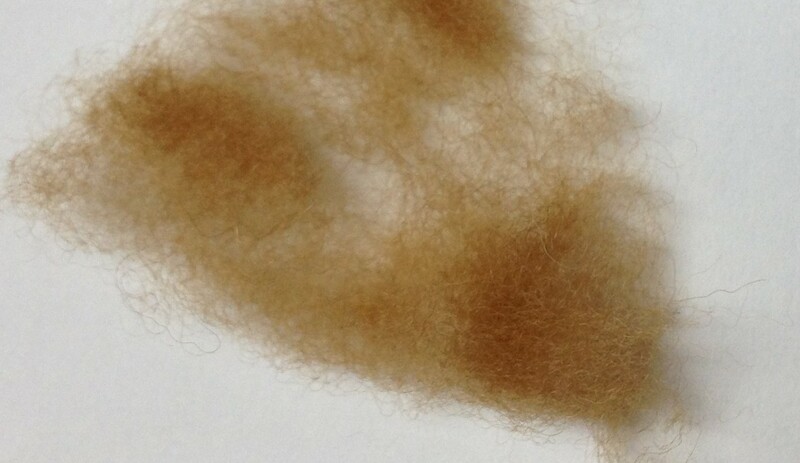 I do have some information that I think could be useful for you as I recently did a fiber analysis project involving vicuna and alpaca. I will look up more specific details and get back to you but basically different types of animal fibers have different scale patterns on the surface. They also have different central cores or medulas. I did some SEM imagery of sheep, alpaca, and vicuna and I might be able to send those images to you, I will ask the museum. Vicuna is an incredibly short fiber, almost like cotton. I wouldn’t try to spin it with a top whorl like alpaca, I would use a bottom whorl cotton spindle. It is very light weight and the micron count tends to be 15 or less, I think my sample was 15. It is sometimes possible to buy small amounts of the fiber on Ebay (I got one gram for 7.00) if you are really curious. Thank you SO much! Any tips are really exciting to me at this point, and pictures would be fabulous (if you can possibly get them)!! I really appreciate the information you’ve sent me, and I look forward to any more you may have! P.S. Which museum do you work for? ARUP DATTA on Project textile videos online!